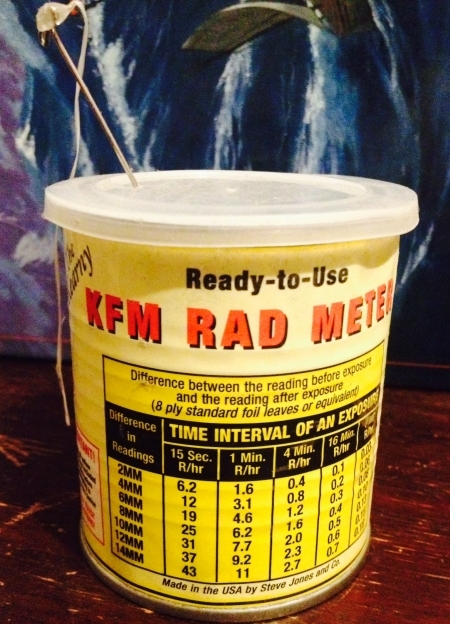 A fully assembled version of the Kearney Fallout Meter, developed at Oak Ridge National Laboratory and funded by the U.S. Department of Energy, is now available for purchase and use by the public at large. The factory-made meter is rugged, reliable, and accurate; and unlike an electronic meter which needs external power, the Kearney Fallout meter can not give you false safe readings. Easy to use and understand, this highly portable meter gives you critical life protecting information in nuclear emergency or fallout situation. Don't depend on the government to tell you where it is safe. Test for yourself; and be confident you are not suffering exposure.